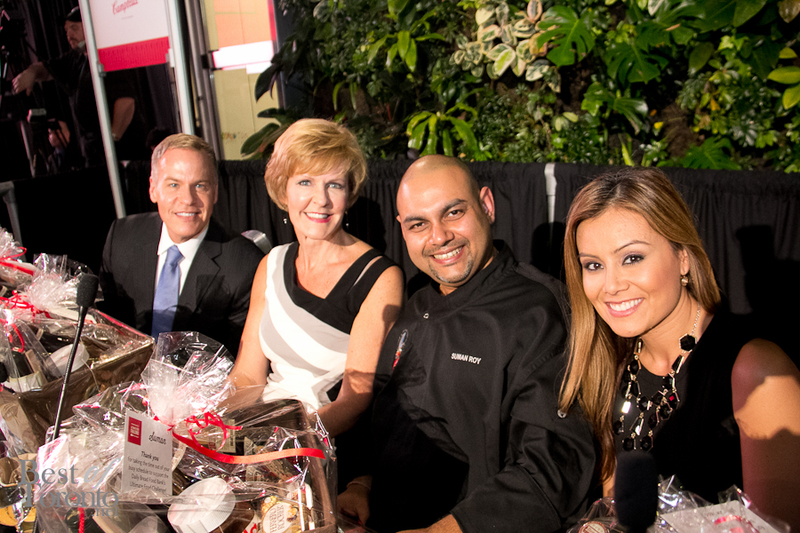 The Daily Bread Food Bank hosted their second annual “Ultimate Food Challenge” featuring a culinary competition with 3 chefs: Devan Rajkumar of The Food Dudes, Alexandra Feswick of The Samuel J Moore at The Great Hall and Jason Parsons of Peller Estates Winery. The event brought 250 food loving philanthropists out to the gorgeous Corus Quay on the waterfront who got to sample wine from Peller Estates, beer from Beau’s and, of course, try some great food. My favourite was the ceviche with popped corn and pickled pablano pepper made by Daily Bread’s own Catering Kitchen. It got nabbed up quickly. The main host for the evening was Howard Glassman (aka Humble from the Humble & Fred radio show) who provided his sense of humour like when he joked about the credibility of the celebrity judges in judging food. Basically only Chef Suman Roy from CP 24 had food credentials to his name, winning a Gourmand Cookbook Food Award in 2010. But it’s all for a good cause anyway! Suman Roy is also the Executive Chef of Campbell’s Canada. 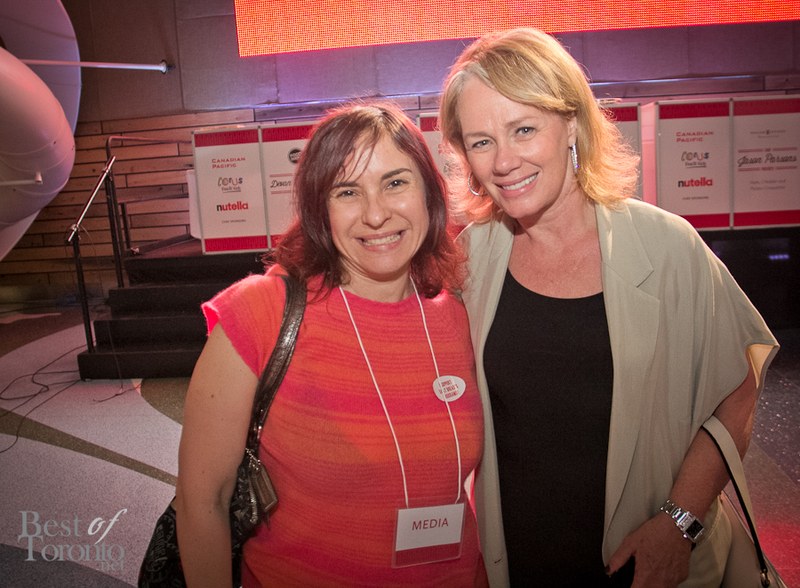 Josie Dye (102.1 The Edge) and Preet Banerjee (Oprah Winfrey Network Canada’s Million Dollar Neighbourhood) were also hosts. On the judging panel we had Arlene Dickinson (star of CBC’s Dragon’s Den fame and also The Big Decision), Melissa Grelo, Suman Roy (Co-host of CP24 Breakfast and News Anchor), Leslie Roberts (Global TV news anchor), Erin Davis (Co-host 98.1 CHFI’s Morning Show). The challenge given to the chefs was to use ingredients commonly found in a food hamper box including canned food. 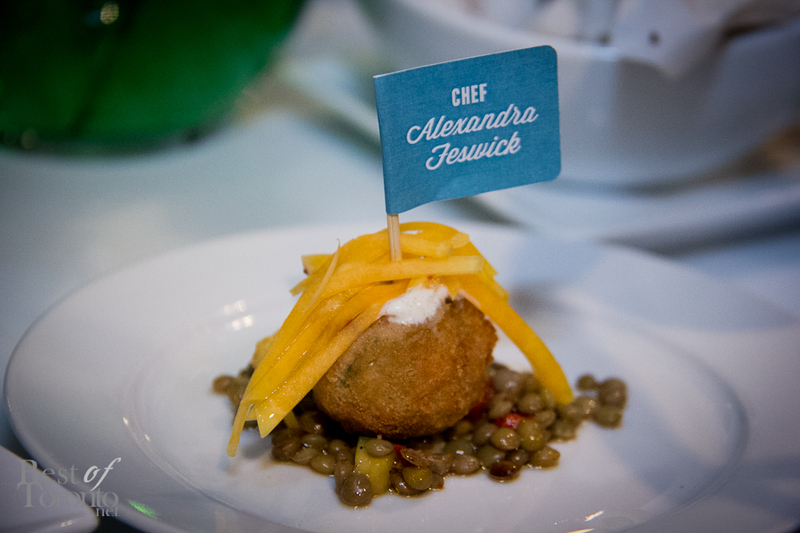 Each chef had 30 minutes to complete a dish that was judged on originality/creativity, presentation, texture, and taste. Devan Rajkumar was awarded the most votes by the audience to win the Fan Favourite award with his vegetarian slider consisting of pita bread, cheese and canned pineapple. 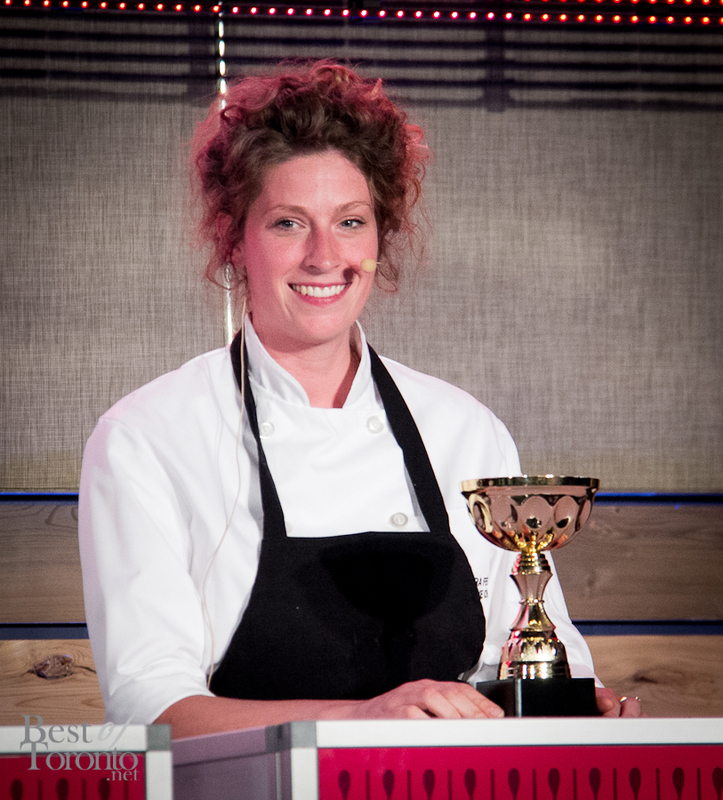 But it was Alexandra Feswick who won over the judges with her Western Falafel using chick peas, spiced yogurt and lentils. The event raised $90,000 to support Daily Bread’s food bank to serve low-income children and adults at more than 100 community agencies in neighbourhoods all across Toronto. 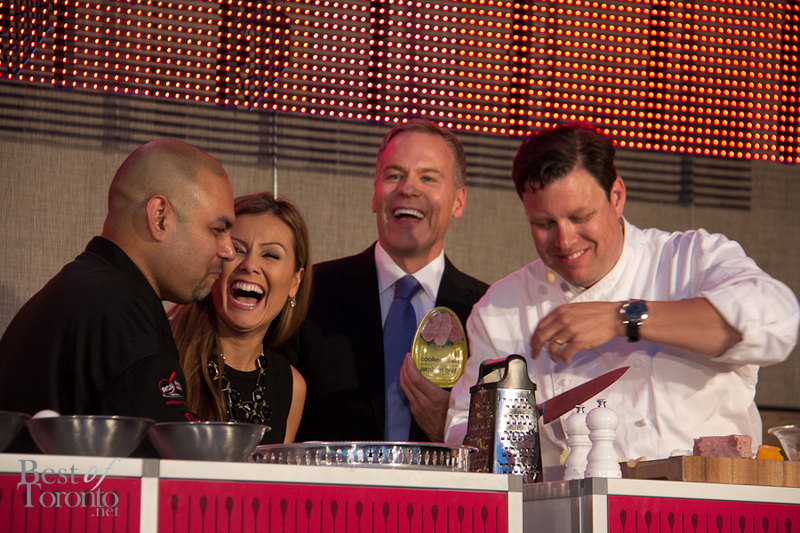 Also, check out Chef’s Challenge in support of Mount Sinai for more celebrity chef showdown action.